December 7, 2018 / Ashok N. Srivastava, Ph.D. Artificial intelligence, machine learning, and data science can be pivotal to a company’s success in fulfilling its mission. In Intuit’s case, AI and related technologies are foundational to our mission to power prosperity around the world for consumer, small business and self-employed customers. By embedding AI throughout our product portfolio, we can give people in all walks of life new ways to do better in their financial lives. At the same time, we can provide the kind of seamless and delightful experience that makes our products easier to use and benefit from. Still, while many companies recognize the potential value of AI for their business and their customers, bringing AI to market is often a struggle. Even initiatives with the best of intentions are derailed by complexity, weak business cases, missing and disparate data, insufficient AI talent and budget—the list of hurdles can be daunting. At the end of the day, it can be hard to show the kind of real-world results and ROI needed to validate the time and effort AI requires. By following these best practices and lessons learned, you can make AI a success for your business and your customers. It takes more than technology to make AI work. You also need to have data, obviously—as well as deploying the right people in the right ways throughout your organization. And you have to keep all three of these elements in the right balance. Here are a few ways you can do that. Instill a common data science mission across the company – Clear and consistent communication about the mission of the organization, celebration of AI implementation of successes and the subsequent customer benefit are critical to achieving a high-functioning team. Incorporate design thinking – To avoid falling into the trap of AI-for-AI’s-sake, ground your initiatives in deep customer empathy and an understanding of their needs. If you can’t name the problem you’re trying to solve—using terms that the customer could relate to—you’re probably missing the mark. Once you’ve found the right problem to solve, continue to iterate and refine it through rapid prototyping and live customer testing. Get product managers and data scientists on the same page – A productive relationship between product managers and data scientists is critical. 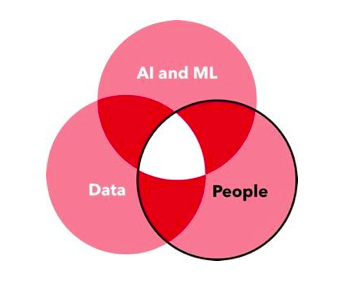 To avoid turf battles, it’s never too early to bring together people from all four of the disciplines that make effective AI possible: product development, experience design, product management, and data science. They should all have a seat at the table to make collective decisions about what goes into the product. Build a diverse, inclusive team – You have a lot of different kinds of customers—and it takes an equally diverse team to understand how best to meet their needs. Make sure you’re hearing the full range of points of view across gender, generation, personal background, profession, and so on. Intuit uses a Customer Driven Innovation model to determine the right AI applications for our business and our customers. 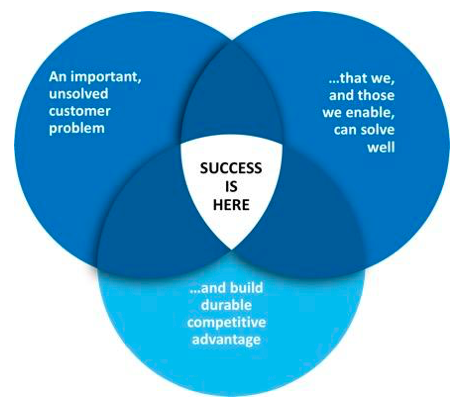 You start with an important unsolved customer problem; think about how you’re going to address it and why you think you can do it well; and then execute in a way that builds durable customer and competitive advantage. It’s a common pitfall for companies to focus narrowly on the first of these elements—the customer problem—and perhaps the solution they’ll enable, but overlook the need to do so in a way that ensures sustainable success. That’s where AI and machine learning come in. By leveraging the right data, the right people, and the right technology infrastructure to address the right customer problem in the right way, you can avoid dead ends and detours on the road to AI success. As a simple example: Intuit customers needed help getting their taxes done efficiently, accurately, and in the most advantageous way available. We saw an opportunity to simplify this process while preventing errors and omissions, and we knew that our deep tax expertise and data put us in a position to do this better than the competition. AI—specifically deep learning—completed the equation by allowing us to build this expertise into our platforms so it’s always available to our customers. By using a deep learning model to anticipate their tax situation and the questions it might raise, we can provide personalized assistance automatically and at scale within the context of a simpler, more seamless tax preparation experience. Data fuels AI reasoning. To keep your AI systems running at their best, you need to keep that fuel flowing to continually inform and refine the insights and predictions your customers receive. At Intuit, we’re building a closed-loop system in which data from both internal and external sources will be ingested into a big data platform; analyzed through AI to detect and diagnose potential anomalies, make predictions, and direct actions; and deliver the results to various customer, device-facing, and enterprise-facing endpoints. In turn, the way people interact with these results will be fed back into our data sources for A/B testing and further iteration and tuning of our algorithms, user experience, and data flow. By bringing together data, AI, and people within a highly efficient system, this type of architecture will help Intuit deliver and scale all of our AI initiatives more quickly and with optimal customer value. In future blogs, I’ll expand on each of these three areas in greater depth. By taking this rational, holistic approach to AI, you can unlock its full potential to transform your products, your business, and the lives of your customers.